We raise our pigs outdoors on pasture. 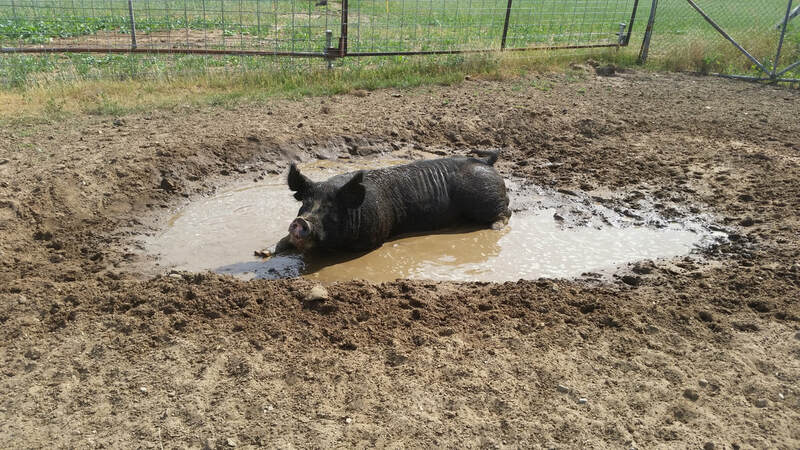 We believe that pigs that are allowed to graze and root amid fresh air & sunshine are healthier than animals raised inside. We do not use farrowing crates or cement. Instead, our sows are provided shelter with full access to the outdoors. 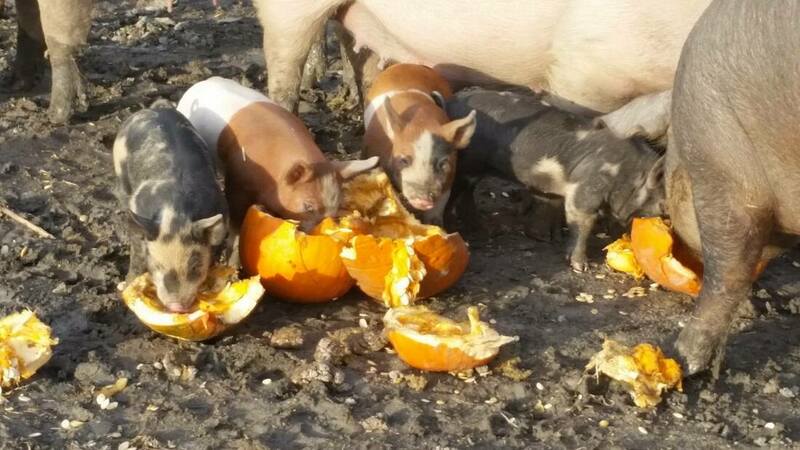 We believe our practices produce healthier food and treat our animals in an ethical manner. 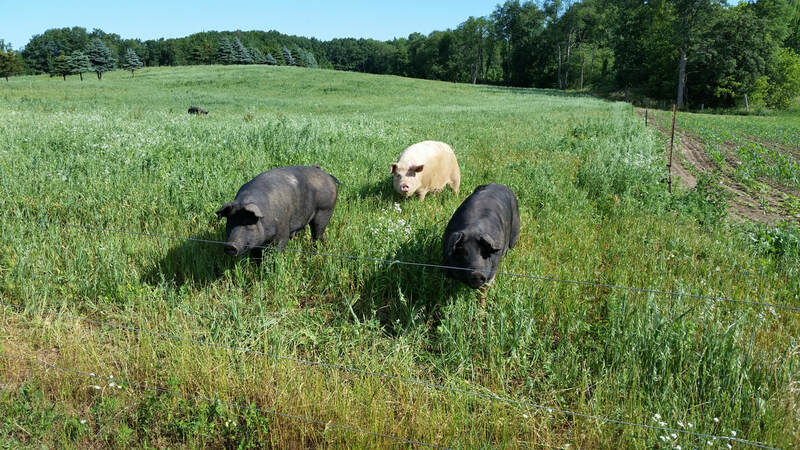 Our pork is all natural; raised on pasture and fed only NON-GMO grain.In addition, the pigs obtain a percentage of their nutrition from clover, turnips, oats & rye. No antibiotics or growth hormones are used. 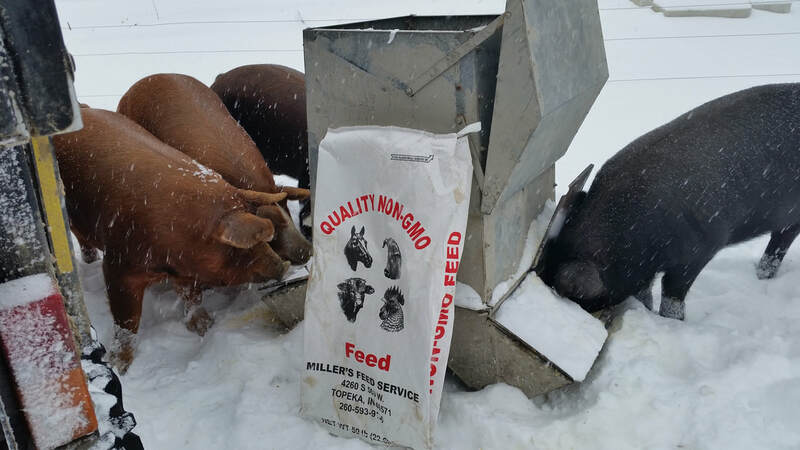 Natural worming methods are used and our pigs are never exposed to pesticides. 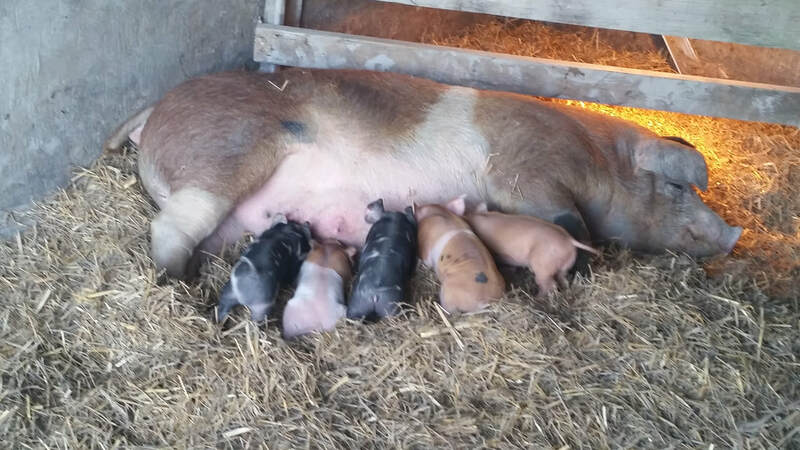 We use a Berkshire Boar (male), large black sows and an Hereford cross sow (female). 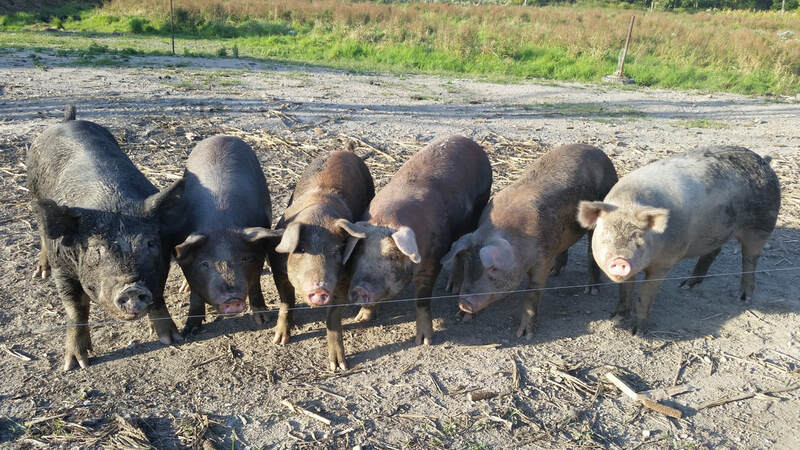 These are heritage breed hogs that produce a full and flavorful pork. Heritage breed hogs are considered by chefs to be more flavorful and tender due to marbling in the meat. We sell pork in whole, sides, bundles, and individual cuts.